If you want to get more time back, save money, and finally get your marketing DONE FOR YOU, click the green access button and watch our demo video! 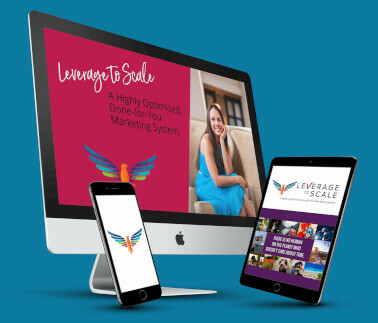 With Leverage To Scale… simply plug-in your assistant and they’ll quickly learn how to think and act like an advanced internet marketer to maximize your brand exposure, generate a consistent flow of “qualified” leads, and condition your audience to buy. Results within less than 3 months of joining… 142% increase in YouTube followers, 51% increase in website traffic, 60-172% increase in social media followings and 96% increase in email subscribers. Amber Vilhauer is a digital marketing industry leader who supports authors, speakers, and coaches to establish a powerful, integrated online presence that gets results and empowers them to make a difference in their industry. Since starting her company NGNG Enterprises Inc. (standing for No Guts No Glory) in 2007 and launching Leverage To Scale in 2018, she has spent her career impacting her community and building strong strategic alliances with industry leaders and game-changers across the web. Amber has supported thousands of entrepreneurs on six continents to get results. 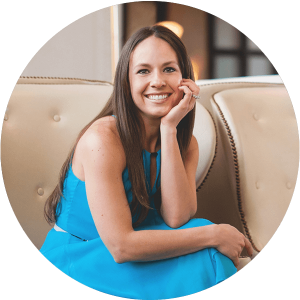 She is the “secret weapon” behind several successful launches and #1 bestselling books including those for Mark Victor Hansen, Brendon Burchard, Lisa Nichols and Les Brown.